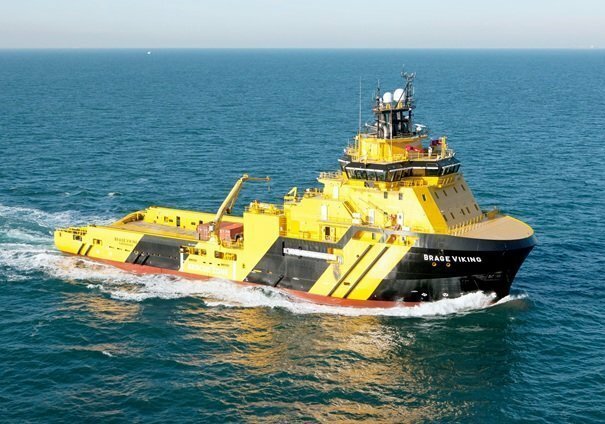 Sweden-based Viking Supply Ships has received an early contract termination from an unnamed charterer for its anchor handling tug supply (AHTS) vessel Brage Viking “due to the market conditions”. The vessel (pictured) will remain on-hire until mid-August 2016, resulting in the loss of $33m for the remaining firm period of the contract in 2016 and 2017, the Oslo-listed company said today. The AHTS, which has ice class 1A notation, commenced the contract on April 1 this year for a firm period of two years and eight months. The contract was originally valued at some $100m and included the option to extend the contract period by a further 18 months.